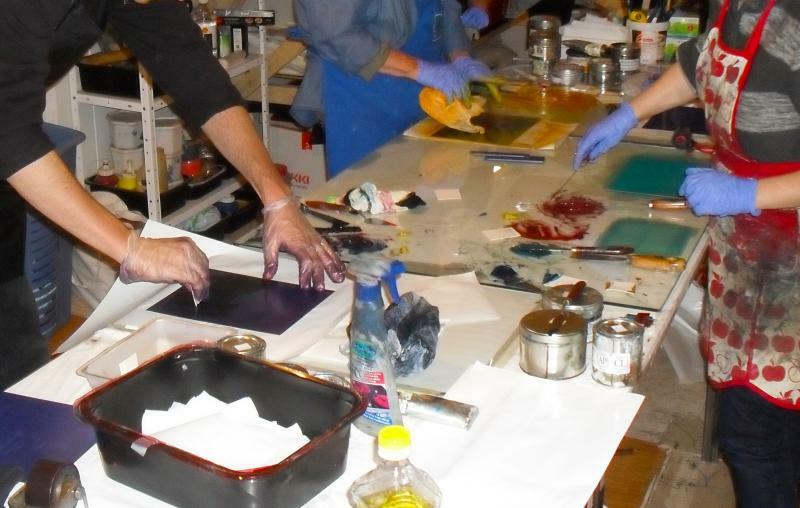 After showing us her work on Saturday morning, Shelley will spend the afternoon demonstrating a series of possibilities that could enhance your intaglio work including many forms of color intaglio. She will cover using stencils, a la poupé, chine collé with various hand printed papers made from a variety of substrates including pronto plate lithographs, viscosity (intaglio and monoprinted), various multiple plates in registration, photocopy transfer, trace monoprint, relief, collograph and collage. On Sunday, bring your plates! Using your current work and plates as a catalyst, Shelley will work individually with you to discover what aspects that she demonstrated are vital to your work and how to successfully explore and expand your vision. In this way, the workshop provides participants time to incorporate new ways of working into their artistic practice.